Learning someone very close to you has been arrested and taken to jail can be one of the most stressful situations you have ever encountered. Your first priority is to do whatever is in your power to get them out of jail. This is when you need to call your bail bondsman in Thibodaux. Now, you might have thoughts of what a bondman is, perhaps slightly tainted because of what you see in the movies and on television. Contrary to the belief of many, bonding agencies are not full of whiskey swigging, cigar smoking bearded guys sitting around waiting for something exciting to happen. In fact, you have probably seen bondsmen in your local grocery stores and never knew it as they are regular people with families just like you. 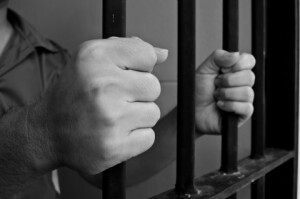 Working with a bondsman is the easiest and quickest way to get your loved one out of jail. Once your loved one is out of jail, you will rest easy knowing they are safe and able to sleep in the comfort of their own bed and not a cold, hard cot. Getting your loved one out of jail fast also means there is plenty of time to consult with a qualified attorney before they have to appear in front of a judge. You could try to get your loved one out of jail on your own, but it is highly unlikely you are as familiar with the bail process as we are. Trust us to get your loved one out of jail fast.